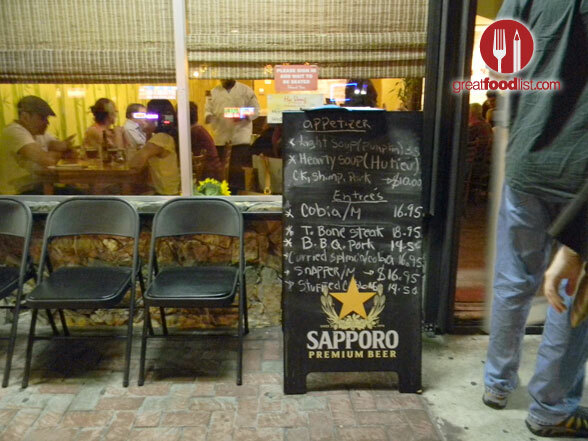 You would never guess Miami’s premiere Vietnamese restaurant is a tiny establishment right on Calle Ocho, just steps from the famous Cuban landmark, Versailles restaurant. 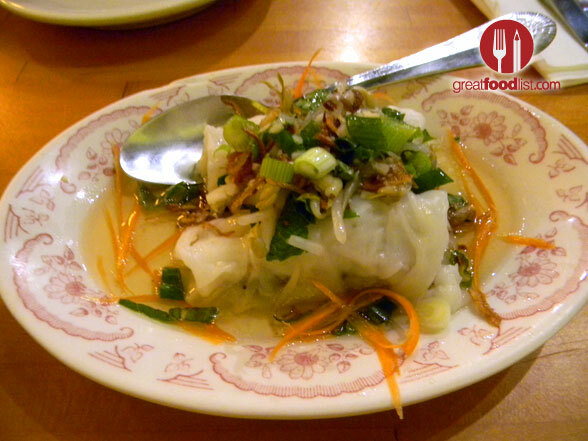 Hy Vong truly is one of our best kept culinary secrets. Family-owned and operated by Kathy Manning and Tung Nguyen since 1980, it has been voted Best Vietnamese Restaurant by the Miami New Times over and over again, including last year. It’s also received praise in The Miami Herald, among other publications. The restaurant is not much to look at from the outside, but it’s cozy and charming inside. We are blown away by the creative, perfectly-executed dishes each visit. They don’t take reservations, so be ready to wait a bit, but it’s totally worth it. For starters, we recommend the spring rolls ($4), which are more like lettuce wraps. We also loved the Steamed Pork Rolling Cakes ($6), similar to pork dumplings. Other options include Spicy Ribs ($6) and Sautéed Tongue in Ginger Sauce ($6). 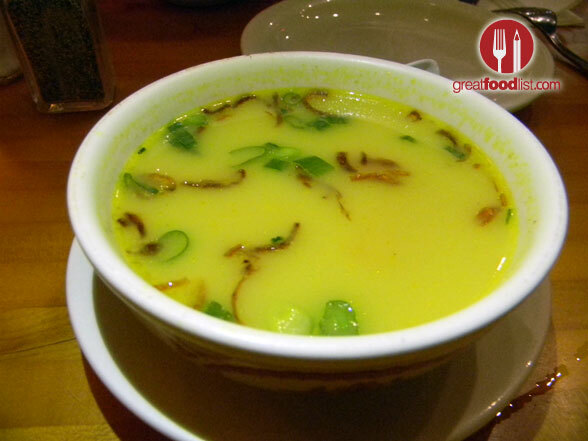 On our most recent visit, the Light Soup of the Day ($3.50) was pumpkin and it was amazing, with chunks of real pumpkin swimming in a delicate, savory broth. 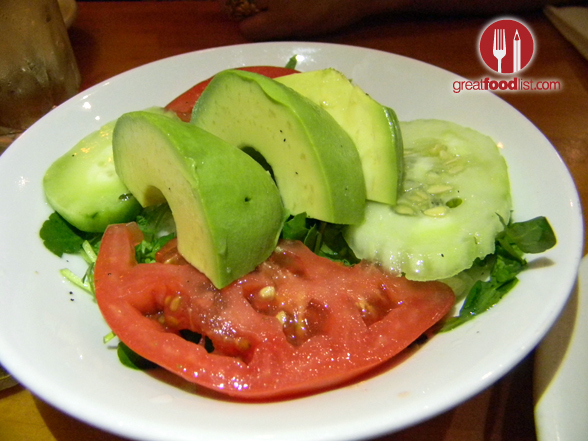 Don’t miss the Avocado, Tomato, Cucumber, and Watercress Salad ($3.50) with a tangy, homemade dressing. Choice of soup or salad is included with entrees. 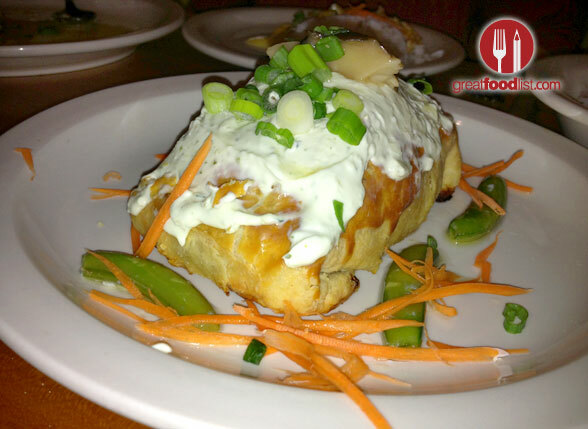 And now, for the big guns, sink your teeth into Chicken Wrapped in Pastry with Watercress Cream Cheese Dressing ($16.50). So good! 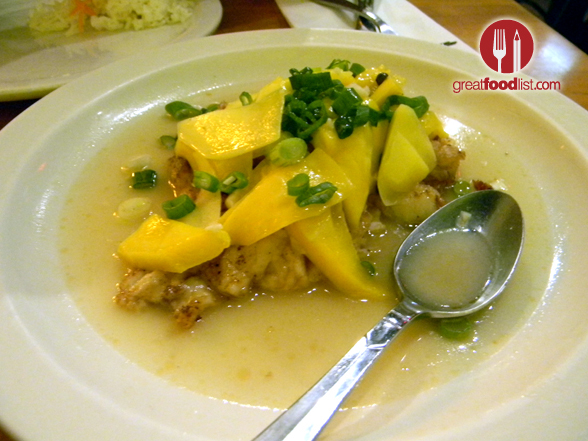 You can also order it stuffed with the catch of the day, and comes served with steamed Jasmine Rice, as do most dishes. The Seared Fresh Fish Filet Served with Mango and Peppercorn ($16.95) is off the chain, and the Half Roasted Duck with Black Currant Dressing ($16.50) is a customer favorite. The dessert menu is not bountiful, but you’ll probably have a hard time deciding too. 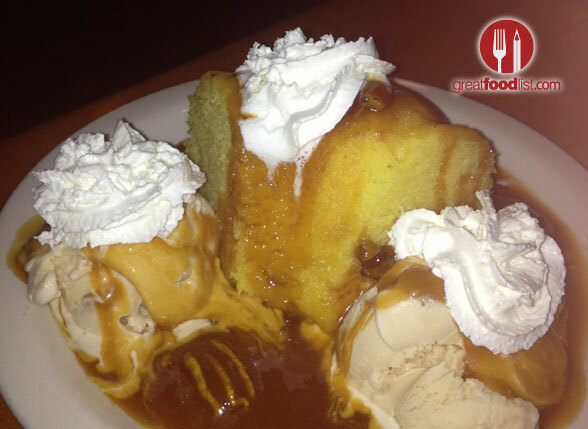 We went with the tantalizing, mouthwatering Key Lime Cake, a generous portion of lemon cake in a pool of rum-infused caramel, walnuts and two scoops of caramel ice cream. Don’t forget to tell Kathy that Great Food List sent you. Tuesday through Thursday and Sunday, 6 – 11 p.m.
Friday and Saturday, 6 – 11:30 p.m.